The perfect introduction to Scottish tartans. Produced in association with the Scottish Tartans Authority, this Little Book focuses on the history of the world famous Scottish tartan. 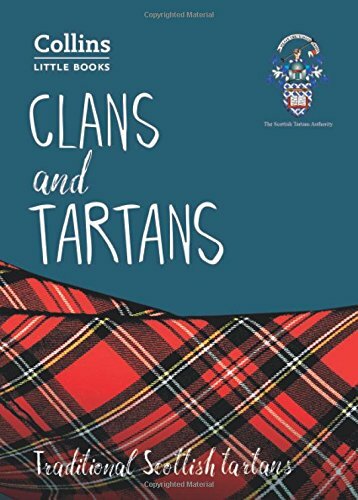 Contents include; *Over 100 clans presented with their tartan, crest, motto and Gaelic clan name. * The history of tartan and how it plays its part in the traditional national dress. * Detailed clans and family names listing. Beautifully produced, Collins Little Book of Clans and Tartans is a treasure in itself and makes a perfect gift for any Scotland enthusiast.